As someone who autocrosses regularly, I often get the question, which is better? Autocross or Track Days? There’s often a lot of confusion between autocross and track days, and the short answer is that it purely depends on the person. Both are great ways to enjoy your car. Both are great ways to drive your car at speeds in a controlled and legal environment. And each have their advantages. Let’s start with debunking some stereotypes. 1. Autocross is a rip-off compared to track days. I only get 3 minutes of seat time. This really depends on the club you are autocrossing with. Some clubs have events where attendance is 150-250 competitors, while some clubs cap attendance to 50 or 60 people. It just depends. 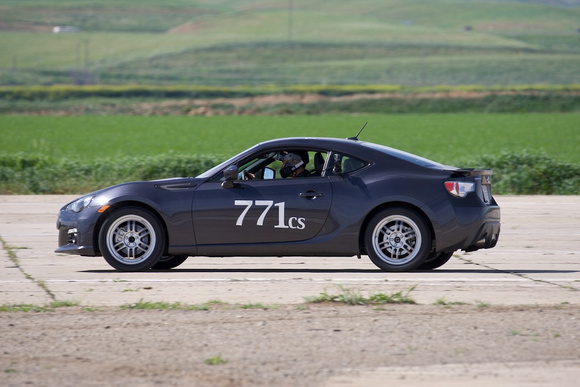 When I autocross with the SF Region SCCA, I get 4 runs. Keep in mind that there are another 149 competitors that get 4 runs also. The competition is fierce. The company (fellow competitors) is good. And the roach coach food is half decent. Usually wrap up all my runs and work assignment in half a day. $40 per an event to play. I have the rest of the day to take care of any other responsibilities. There are clubs like Lotus club where $75 will get you a whole day worth of runs and lunch! Expect to commit a whole day, but can’t beat $75/day to autocross. Lift tickets to ski or snowboard are more expensive and you are on your own for the overpriced lunch and alcohol. 2. Autocross is slower than track days. Again… this depends. On the track, you’ll generally average higher speeds than on an autocross course. 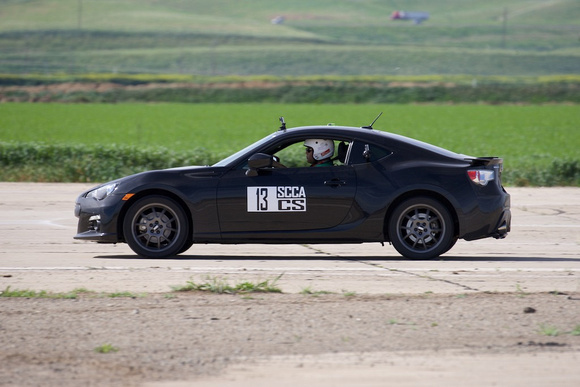 An autocross course average speed is about 45mph, with a top speed of about 60-65mph. You are comparing apples to oranges, though. The emphasis is different. Autocross has a greater emphasis on handling. An autocross course has more elements than a track does. Getting through the course is requires quite a bit of finesse to put down a fast time. It’s like comparing someone who is running a race versus someone running an obstacle course. You can’t really compare. 3. Autocross isn’t really racing. This is debatable. I certainly think it could be. There’s a timing system. You are trying to put down the fastest time possible. There are penalties if you go off course or hit cones. You get season points depending on your performance in your class. In a very basic sense, it is racing. Just not head-to-head racing like we typically think of. Now, Why I Like Autocross! 1. Local. There are several sites around the SF Bay Area. I don’t really have to go out of my way to go autocrossing. And autocross is very carpooling friendly. I carpool and co-drive with Dennis. Just that saves money on gas. 2. Accessible. Autocrossing is accessible. All you need is a road safe car and a driver’s license. 3. Cost. It’s really not that expensive to go autocrossing. Entree is $40. More than reasonable for a half day of fun. 4. Half-day Commitment. This depends on the club, but for the club I autocross with, I only have to commit half a day. I have the rest of the day to do whatever else I need. 5. Low chance that the car will get damaged. There’s almost no chance. Courses are designed with the idea that people may spin out or lose control. Worst thing that can happen, you can get some cone marks on the paint, or lose a fender lining. All very inexpensive to fix. My co-driver Dennis doing his thing. He’s actually #137, but we lost one of the 7’s somewhere. Our friend Josh autocrossing for the first time. Finally got around to writing about the most recent event at Crow’s Landing! Autocross Round 3 was at Crow’s Landing. Josh Salvage designed the course, and boy was it a good one! Crow’s Landing has its challenges. Let’s just say this, Josh did an excellent job of meshing together a course that had both high speed and technical elements! For this particular event, I decided to collect data on my runs so that I could overlap it over the video. Hopefully it gives you some idea what type of speeds we were hitting. After the last event, Dennis decided it was time to get new tires and picked up the Dunlop Star Spec II’s. Oh baby… these things have grip for days. I don’t really have anything to compare to, but these things were night and day difference over the BFG Rivals. Crow’s Landing was brutal on the tires though, and the way we drove on them didn’t help either. We got them up to temperature pretty quickly, but then found that we were over heating them. Anyways… all and all, a fun day. To be perfectly honest, there’s never a bad day of racing. Check out the YouTube video of my run and check out the Speedometer and see what type of speeds we are hitting. I think my top speed was 66 mph through the showcase (or premier corner). The show case corner is the corner that connects the two runways. I am pretty happy with the result. I am always learning and improving on the platform. 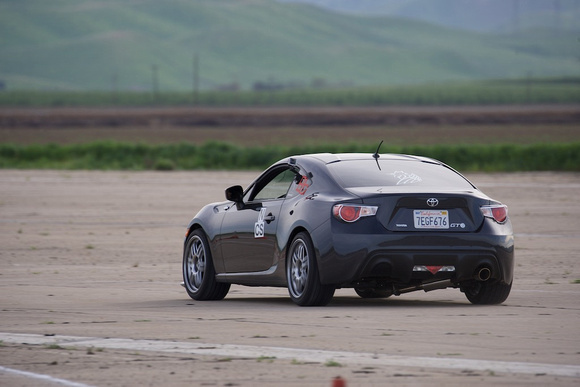 So far, I only have about half a season worth of autocross on the BRZ, but it is starting to make sense. My fastest time was 68.527. The class leader is in the 65’s. 3 seconds is a lot of time, but consider the size and length of the course, and that our platform isn’t 100% developed, I am pretty happy with my performance. The meat of the class was in the 68’s. Next event is around the corner at the end of the month at Marina. If you are interested in giving autocross a try, hit me up and I’d be more than happy to share. 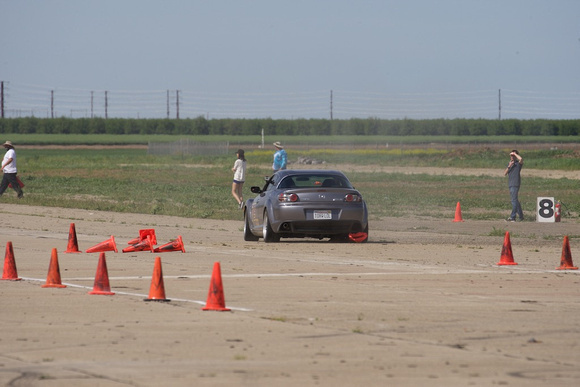 Autocross is very accessible and is open to people of all skill levels. Here’s the usual money tally. I don’t remember much about Round 2 other than it was a lot of fun. I remember the course to be very fast with a few key points that could make it or break it for drivers. Justin, the course designer, did an excellent job of creating a course that was very straightforward, but required individuals to pay attention to several key components of the course that would separate the fast times from the slow times. This is my first event of the season, so I was super excited to be driving again. Last time I had a chance to autocross was back in November. That’s 3 months of no autocrossing! Something new this season… this year, I am co-driving with Dennis Q in his 2013 BRZ. There are quite a few benefits from co-driving. The biggest one for me is keeping our cost down. Since most of the events will be at Marina and Crow’s Landing (about 1.5hr each way), carpooling by itself easily saves $20 for each of us, if not more. I usually chip in a few dollars for gas when we are car pooling. I am going to keep a running tally of the amount of money spent this season. Here’s my best run of the day. Given that we had old BFG Rivals, I think we did pretty well. The tires were definitely worn out, but all and all, a fun event! Hello and welcome to my WordPress blog! Over the last few years, I’ve tried to dedicate my time to writing and sharing things I am passionate about, but have always ended up putting it off. Now that I have a little more free time, I decided to start this blog to share my passion of racing. So… please visit often as I share my experiences autocrossing. This year, I’ve decided to take a different approach and pool my resources with Dennis Q. to campaign his 2013 Subaru BRZ in the SFR SCCA Championship Series C-Street class.